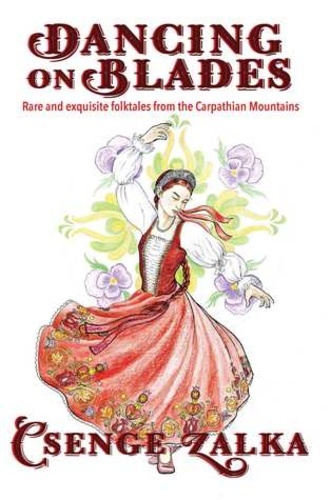 Today's folktale comes from a famous storyteller named Cifra János (1898-1983). He was of Hungarian Roma descent, and lived in Corunca, Transylvania, where his tales were collected by Nagy Olga in the 1970s. He was a storyteller of extraordinary imagination and talent. My favorite tale of his is titled Nyeznyám, but I like to refer to it as Flowerbeard. At the beginning of the story, a king is out hunting in the mountains when he finds a strange and very handsome man whose beard is made of spring flowers. The king takes this man home and locks him in a room (rude). He invites other kings to come and look at the curiosity... But while they are arriving, the little seven-year-old prince accidentally shoots an arrow inside the prison. Flowerbeard talks to him through the door, begging to be set free. The prince steals the key from his mother and releases Flowerbeard. When the king finds out, he first thinks his wife cheated on him, and sentences the queen to death. Hearing this, the boy confesses, and takes on the death sentence. The king sends him out to the mountains with a servant who is supposed to kill him and bring back his heart, liver, and little finger. The boy manages to convince the servant to kill a dog instead, and offers his little finger to be cut off as proof. From this point in the story, Flowerbeard takes care of the prince. As an invisible presence, he makes his finger grow out again, and then makes sure the boy is never cold, thirsty, or hungry as he wanders around the world. When the prince grows up, he goes on to kill dragons and defeat armies (all with the strength he got from Flowerbeard). Eventually he falls in love with a princess, and pretends to be a mute gardener to get close to her. He works as a gardener for the king until, after various challenges, he ends up marrying the princess. At the wedding, Flowerbeard appears once more, thanking the prince for setting him free. He then takes off the beard of violets and other spring flowers, and places it on the prince's face. The prince becomes king, and lives happily ever after. Obviously, there is tons of symbolism in this story. Masculinity, coming of age, changing of the seasons, man's relationship to Nature, you name it. Flowerbeard reminds me of all the Green Man legends I've read. And not only that - every time I run into this tale type, the magical captive is always some kind of a nature-related being; for example, in Estonia he is the Mushroom King. 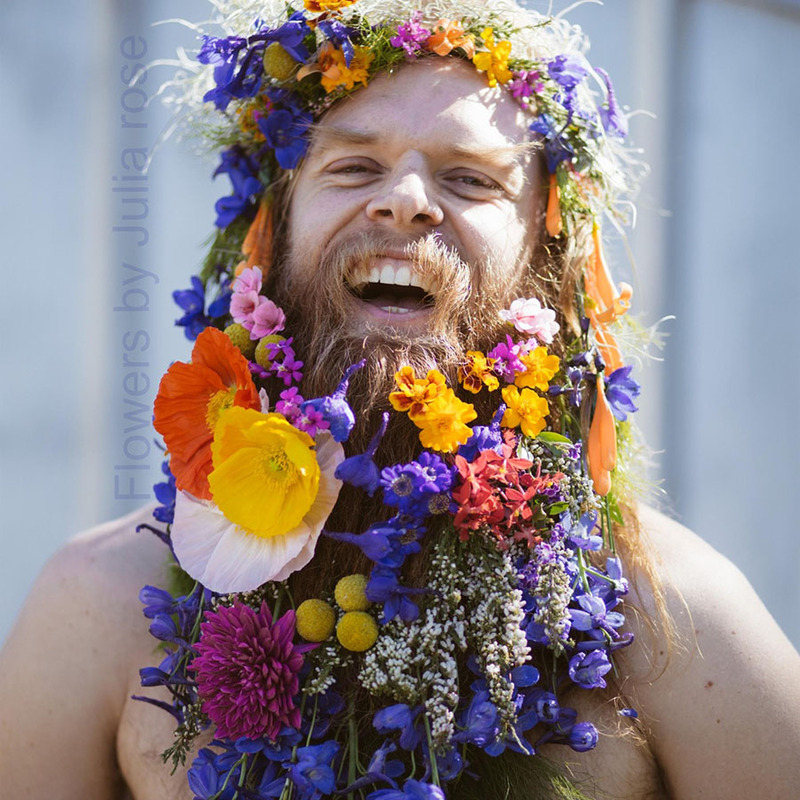 Apparently, flowers in beards are a popular hipster accessory now. You can see a bunch of awesome photos here. This is a beautiful tale. And yes, very rude of the King to lock Flowerbeard away! Nice story. Love the pics, too. 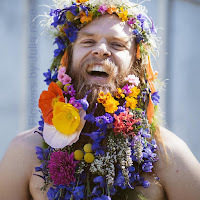 Flowerbeards - I can't say I've seen any here, and I don't think they'll take off anytime soon - at least, I won't be having one! 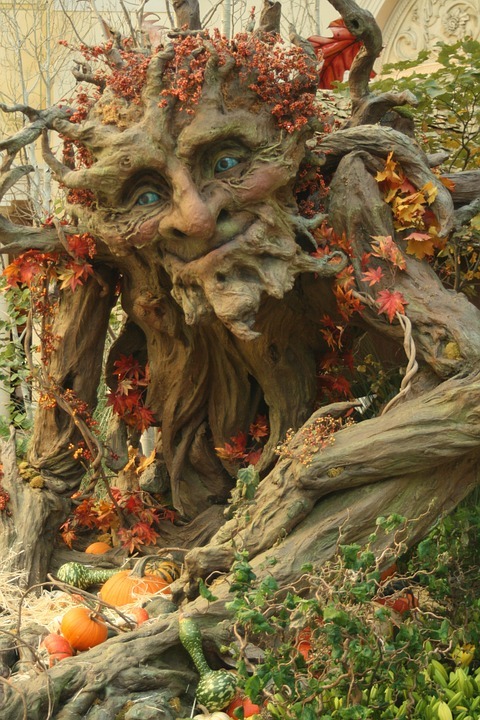 What a great story - I really like the idea of Flowerbeard. I was half expecting the story to take a turn for the worse like Rumpelstiltskin, but it actually goes on to be a nice feel good story. The first king is a bit of an arse isn't he - entitled much?! Sounds like a lovely story. gorgeous story - and as I was reading it I felt I had read it before so some similar but I guess there are common motives in the world of myths and tales. This IS a nice story -- I kept waiting for a bad turn, but I love it! Even the dragon-killing part...from my Dragon's Eye View. 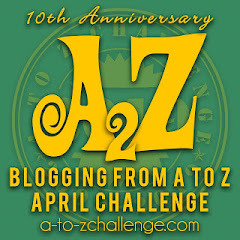 Keep up the great A to Z sharing! Poor little prince with a father like that! Good thing he got flower beard as a mentor/savior. I love the tale of Flowerbeard. And now I'll be on the lookout for some real flower beards. This is a lovely, uplifting, heartwarming tale. Except...why is it always the women who are the first suspects in every tale? Well in this case it was because she had the key to the prison. But at least she was proved innocent? 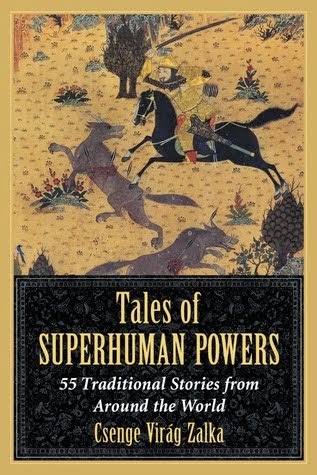 I recognize general elements of that story from other folktales and stories. I'm glad there was a happy ending. What a great story. The King sounds off his rocker-he was going to kill his 7 year old son? I'm glad the boy escaped, but poor dog :(. I'm glad there was a happy ending. Flowerbeard reminds me of the Green Man legend as well. Kings certainly love to kill people. I can see this story animated. It could be beautifully done. 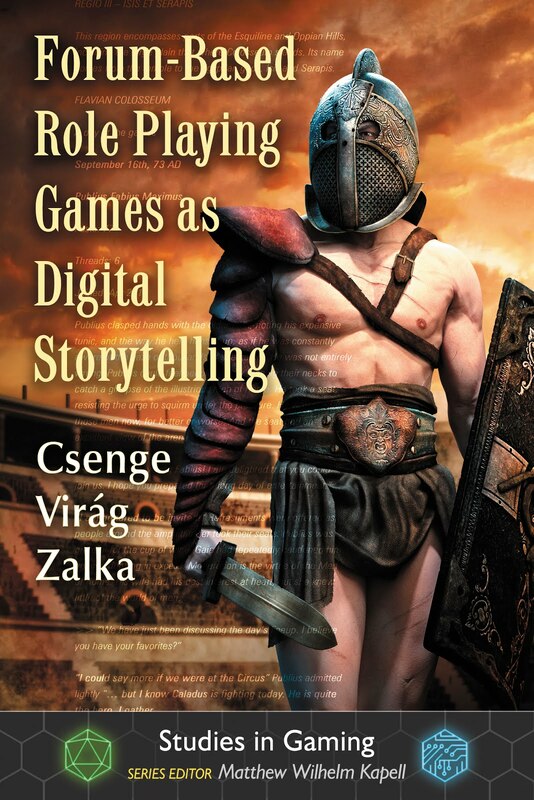 Wow, these Hungarian folktales really are strange. This one was reminiscent of Snow White. I'm glad that story had a happy ending. The king sounds very mean! I love this tale. I remember far too little of my own country's mythology these days. This is lovely, aww! My husband and a good friend of ours both have big bushy beards -- I'll have to see if they'll do the hipster flower thing, lol!